English Theatre Berlin is the German capital’s international performing arts center and the only producing and presenting organization in the Hauptstadt expressly dedicated to English, the 21st century lingua franca, as the working language. We are proud to share our facility with THEATER THIKWA, an integrative theater company that creates work featuring actors with and without disabilities. Our venue is barrier-free and fully accessible. 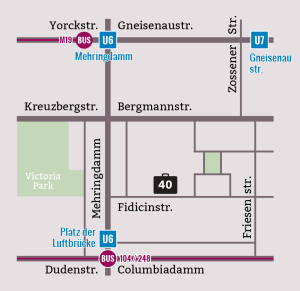 We are located in the F40 Künstlerhöfe (F40 artists’ courtyard), a beautiful courtyard housing numerous studios and galleries, originally constructed as a brewery. 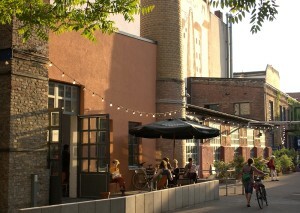 We are part of the vibrant Bergmann Kiez, one of Berlin’s most popular neighborhoods and home to countless restaurants, cafés, bars and shops. 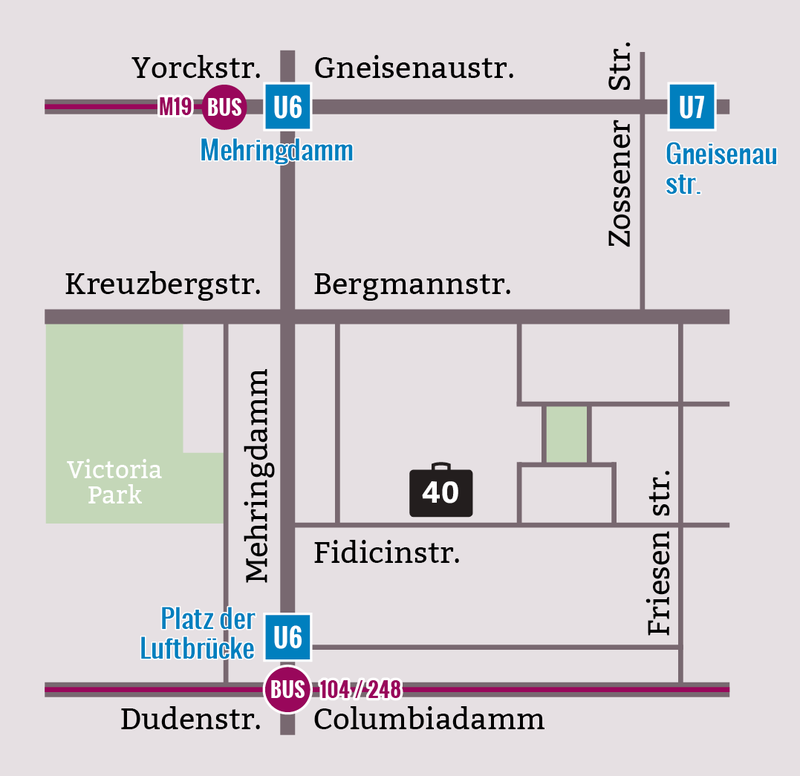 The nearest subway station is PLATZ DER LUFTBRÜCKE on the U6 line.